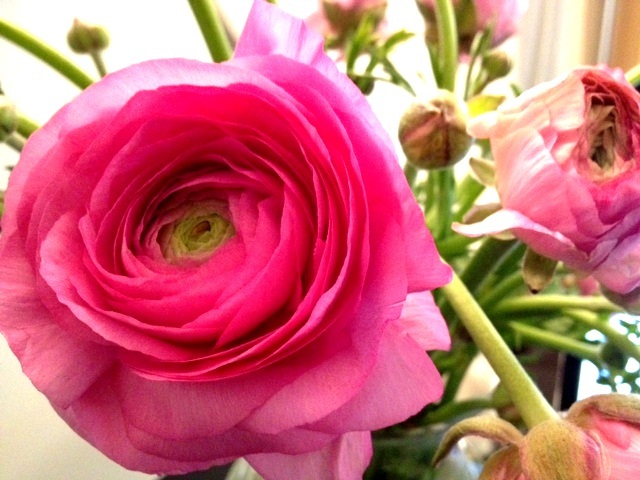 Trader Joe’s is my source for flowers – they are cheap, and they stock seasonal flowers. 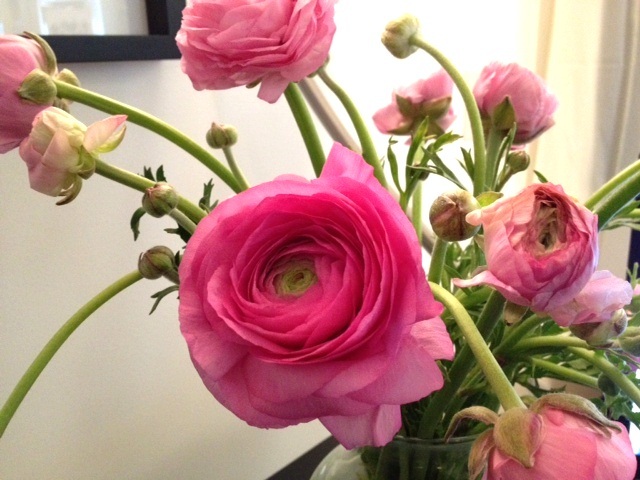 On this gloomy Monday, as I was wandering the aisles on my lunch break, I discovered that Ranunculus are in season, and promptly bought several bunches. I love their soft springtime scent, and their many layers of petals – they remind me of little ballerina tutus or full party skirts. I love that they have multiple flowers branching off each stem, and that when they are simply plopped into a vase, they look natural, and wild, and perfect. I love that they are lovely in every color – white, yellow, pink and orange. I love that their buds are cute and tucked in, and that they continue to bloom as time passes. What a treat to start the week!